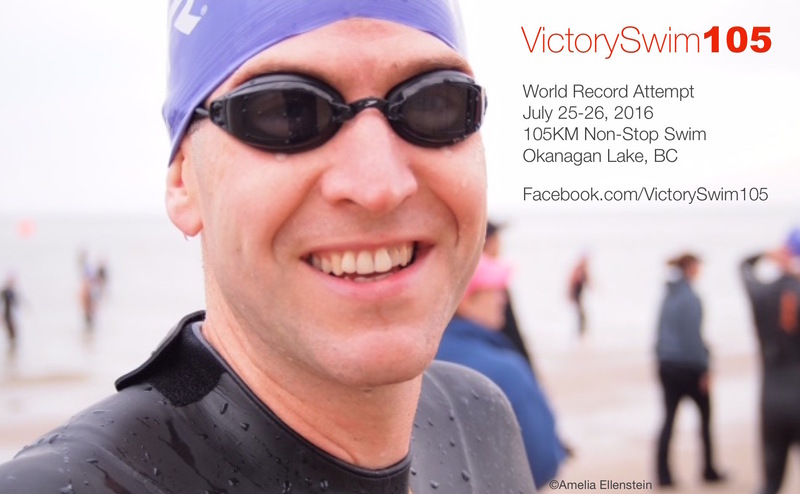 This week, we had the chance to talk to Adam Ellenstein, who brings endurance training to a new level as he prepares to swim 105 Km (or 65 miles) non-stop down the entire length of Okanagan Lake in BC, Canada as a World Record title attempt, also known as VictorySwim105. Adam has loved swimming his whole life, but 5 years ago he decided he wanted to get serious about getting back in the pool to train for an iron-distance triathlon. Since then he has participated in various ultra length races with encouragement and support from friend, Brad Sawa. 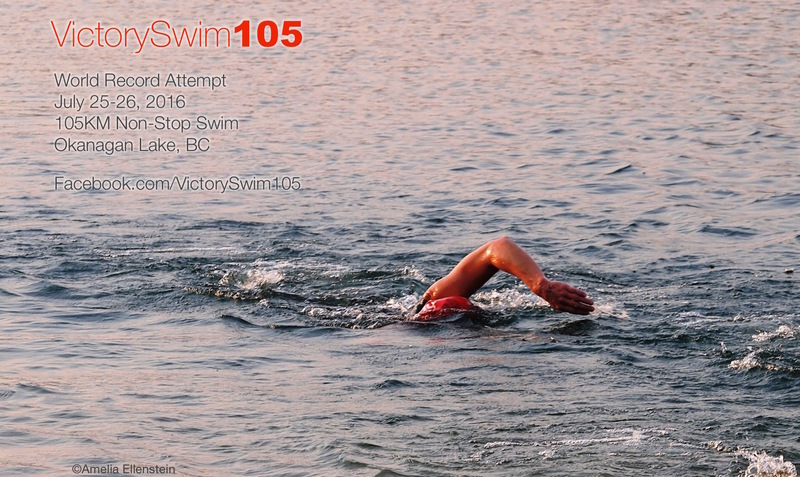 The longest swim he’s done to date was the 30k across Lake Winnipeg last August. Adam hand build this canoe for Amelia so she can help as he trains. To Ellenstein, it’s all about the the people that are there to help and support him. 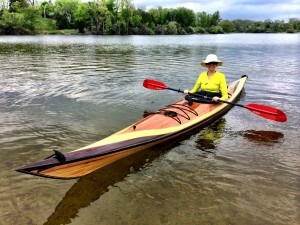 His crew carries essential nutrients, cheers for him, and in the case of his aunt Susan, plans to swim part of VictorySwim105 alongside Ellenstein. Recently diagnosed with Parkinson’s, she is a huge motivator for Ellenstein, as the swim supports people living with the disease. Find our more about Adam’s swim on his Facebook page here. Unlike many foundations for Parkinson’s, the Davis Phinney Foundation focuses on helping those living with the disease to live well today, rather than medical research in pursuit of a cure. This message definitely comes through in their slogan, “Every Victory Counts”. Ellenstein’s says his first priority during the swim is safety for him and his crew, as they will be in open water and unpredictable weather. The second goal? To have fun! Ellenstein trains for his 105km swim. Adam told us that every athlete is unique and different, but something they all have in common is that they need to find their motivation, the reason why they’re doing what they’re doing. With that they’ll have everything they need to accomplish their goals. Stay updated on Adam Ellenstein and VictorySwim105 on their Facebook page here!